The standard screen is equipped with a heavy-duty lift handle running the width of the screen. This gives the screen a clean aesthetic as well as additional strength. 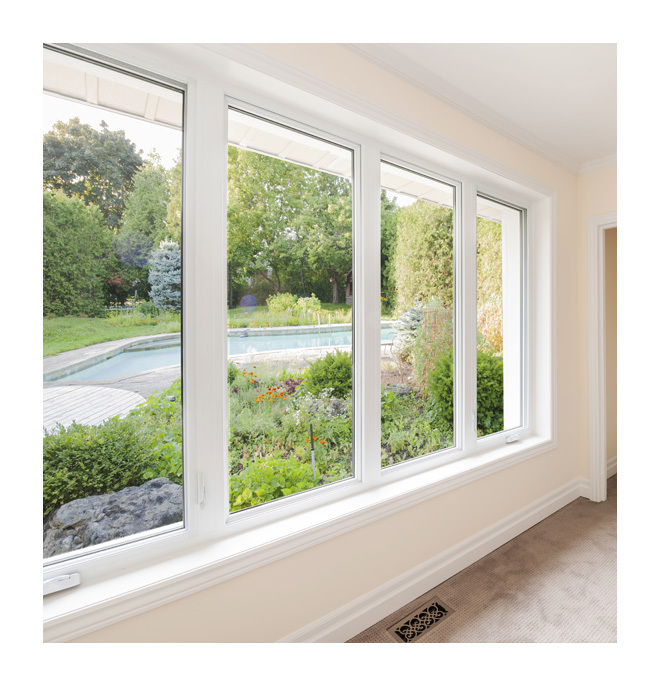 The 400 Series offers a fully integrated lift rail giving the window a nice, contemporary look. 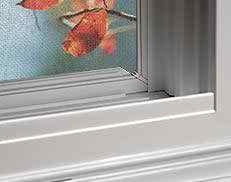 Optional foam-filled insulated extrusions add energy efficiency – Deluxe version only. OKNA Windows Auto-Lock features an exclusive automatic locking system which is easy to engage. All colors except Euro-White are available at an additional charge. Printed colors may not match the product’s actual color. Please visit a local dealer to view actual color samples.